Are you starting a new business? Upgrading an old business? Or expanding your business operations? Then you probably need a new phone system. The best place to go for all your Business Phone System needs is www.TWAcomm.com which is loaded with all the latest in business phones and phone systems! Whether you need a few phones or several to make your business the best that it can be, you can find just the right system at www.TWAcomm.com. The selection is huge and filled with top brand names in the business phone world. No matter what special features you’re looking for, TWAcomm.com has the right one for you. Avaya Lucent Phone Systems have so many possibilities for your business! AT&T System Phones, Merlin Magix Phone Systems, Lucent Partner Basic Phone Systems, Lucent Partner 11 Phone Systems, AT&T Merlin Phone Systems, Avaya One-X Quick Edition System, Avaya Partner ACS Phone System, Lucent Definity Phone System, Lucent Merlin, AT&T Spirit, and Partner Endeavor Phone System are among the great products available on www.TWAcomm.com. If you prefer Panasonic Phone Systems, there are plenty to choose from such as the KX-TAW848 Wireless System DBS 40, 72, 96 Systems, DBS 576HD System, KX-TA 824 Telephone System, DBS 576 System, DBS 824 System, and the Legacy Hybrid Phone System. If Toshiba products are a favorite of yours, the www.TWAcomm.com website can show you all of the latest Toshiba products. Stratagy Voice Mail, Toshiba Auxiliary Equipment, Toshiba System Documentation and Toshiba System Enhancements are some of the items you might want to explore. www.TWAcomm.com also carries Amanda products. How about an Amanda Company Star PBX 1U Rack or an Amanda Company Star PBX 2U Rack? There are Samsung products available at www.TWAcomm.com as well. A quick trip to the website will show you Samsung System Phones, DCS 50si Phone System, DCS Phone System, Samsung Prostar Phone System, Samsung DS616 Phone System, DCS Compact Phone System and the Samsung iDCS 100 Phone System. 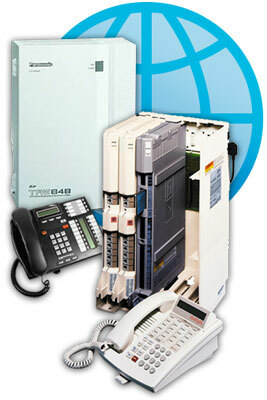 On www.TWAcomm.com, you can also find Mitel Phones, Fujitsu Series 3, 9600 Phones, Star Log Phone Systems and SpectraLink Wireless Equipment.